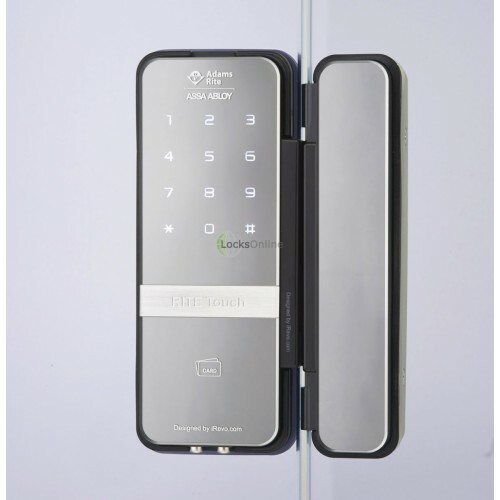 With absolutely no drilling required, this is the touch-sensitive, keyless lock for all single or double glass doors. The RITE Touch is a modern and contemporary lock that wouldn’t look out of place in any office or jewellery store. Its smart digital touch sensitive keypad is covered by beautiful reflective glass. The black edge which encases the lock gives the device a well rounded finish. It has a sleek low profile which sits on the glass. The keypad illuminates with a lovely white LED light that brings the lock to life and draws the user’s attention. This smart glass door lock is ideal for commercial premises looking for that modern, sleek and contemporary look. 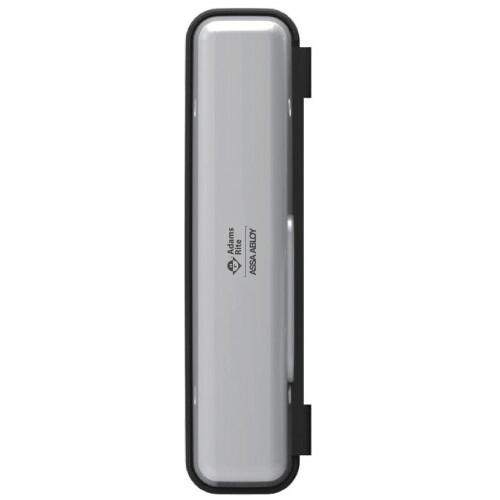 As the lock can be activated and opened by cards it would be ideal for a fast moving environment such as a busy office. The clip style attachment makes it easy to install as there will be no drilling required. To make the glass door as convenient as possible Adams Rite have designed the lock to be as easy to use as possible. No longer will you need to push mechanical buttons, with the new smart touch screen you will be able to quickly key in the correct code to open the door. There is also the option to use up to 40 credential cards to make gaining access even faster, ideal for employees. One of the greatest things about the RITE touch digital lock is that installation couldn’t be any easier or stress free. It comes equipped with a clip style attachment which means there is no need to drill the glass. What this also means is that if there is any need to remove the lock at a later date, there will be no lasting damage to the glass. 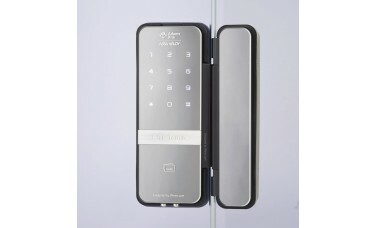 Unlike most digital locks, the Rite Touch digital lock doesn’t need any form of power supply as it is powered by an internal battery; this means that there won’t be any wiring to and from the glass door keeping a clean and contemporary look. The Adams Rite Touch offers an override option with their anti-tamper thumb turn, which will allow you to manually override the digital door lock. Adams Rite have made the Rite Touch accessible to anybody who has a single or double glass door by offering the additional Adams Rite Shine Strike which is made for the Rite Touch digital door lock. The Digi Lock shine will allow the user to input fake numbers to prevent exposure of the real PIN code. This is great if the lock will be fitted in a public or busy environment, it adds the extra level of protection. When taking the RITE touch glass door lock from the packaging the first thing you notice is the size, it looks like a very secure and well built piece of kit. The weight of the product gives you an indication of a very well built product. The glass over the touch sensitive keypad is flawless and gives a fantastic mirrored effect, almost hiding the fact it’s a lock. The glass door lock also has a low profile on the touch screen side, giving it a modern look that would look great on any glass door. The manual override is smooth and easy to turn and gives it a high quality feel that you would expect. The installation of the Adams Rite Shine couldn’t be any easier. There is no need for the use of a drill. The Adams Rite Touch comes equipped with a clip style attachment which will allow it to be installed with ease on panels of glass between 10mm and 12mm.